The HSA 66 cordless hedge trimmer offers the mobility and power of petrol machines. Its innovative 3-in-1 performance has it all. That's because STIHL has combined three peak-performance features in one tool: a powerful 36 V Lithium-Ion battery, a high stroke rate, and special diamond-finished cutting blades. The HSA 86 cordless hedge trimmer offers the mobility and power of petrol machines. Its innovative 3-in-1 performance has it all. That's because STIHL has combined three peak-performance features in one tool: a powerful 36 V Lithium-Ion battery, a high stroke rate, and special diamond-finished cutting blades. The HSA 94T cordless hedge trimmer offers the mobility and power of petrol machines. Its innovative 3-in-1 performance has it all. That's because STIHL has combined three peak-performance features in one tool: a powerful 36 V Lithium-Ion battery, a high stroke rate, and special diamond-finished cutting blades. 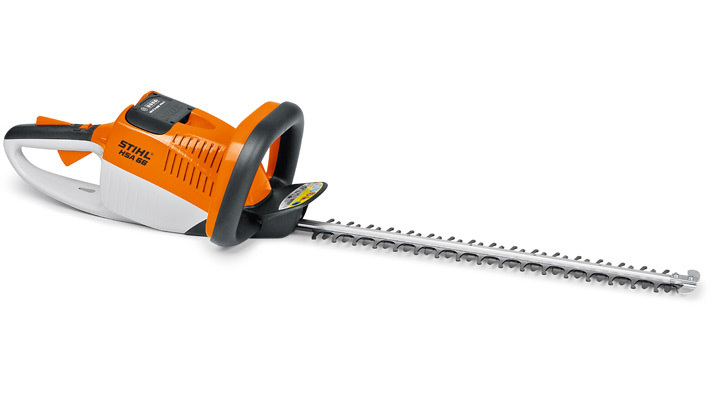 Extremely high performance and robust professional battery hedge trimmer with low blade speed for powerful cuts. Constant stroke rate, rotating multi-function handle with three-setting stroke rate, double sided cutting blade and screw-on cut and tip protectors. 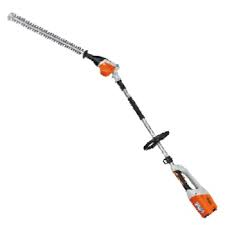 Cordless long reach hedge trimmer for tall and wide hedges. Constant blade stroke regardless of the load, can be folded together, adjustable for vertical overhead and ground level cutting, around 115 deg. adjustable cutting bar, long reach, double sided cutting blades, rubberised 2 component handle, carrying position is only 125cm with a total length of only 205cm. 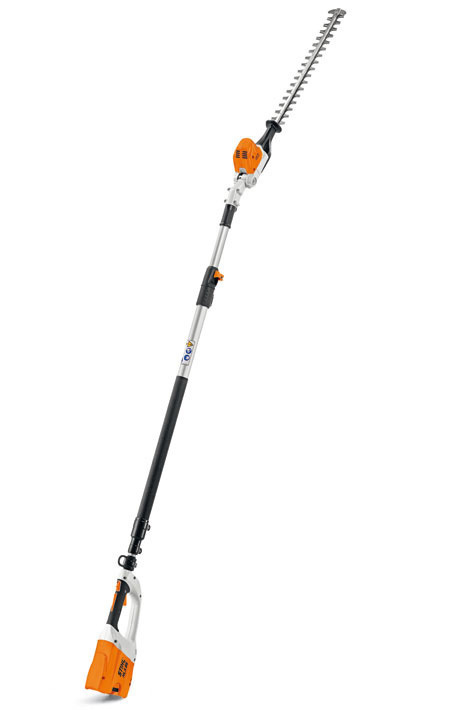 The Stihl HLA85 telescopic hedge cutter is a versatile addition to the Stihl cordless range. The HLA85 features an adjustable cutter which makes it suitable for a number of tasks on tall or deep hedges. With a total extended length of 3.3m it gives the operator a safer approach to taller hedges.